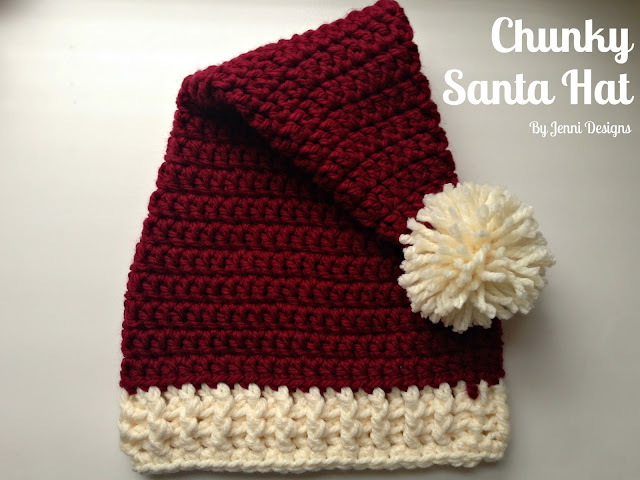 Much like my Elf Hat pattern, this hat is super simple but because it uses bulky yarn you can work this baby up in no time at all! -The first dc of each row should be worked in the same space as the ch 1. -Be careful not to work your fpdc/bpdc's too tightly. Join with a sl st in any space. (1) Begin by laying out a strand of yarn about 18" in length. 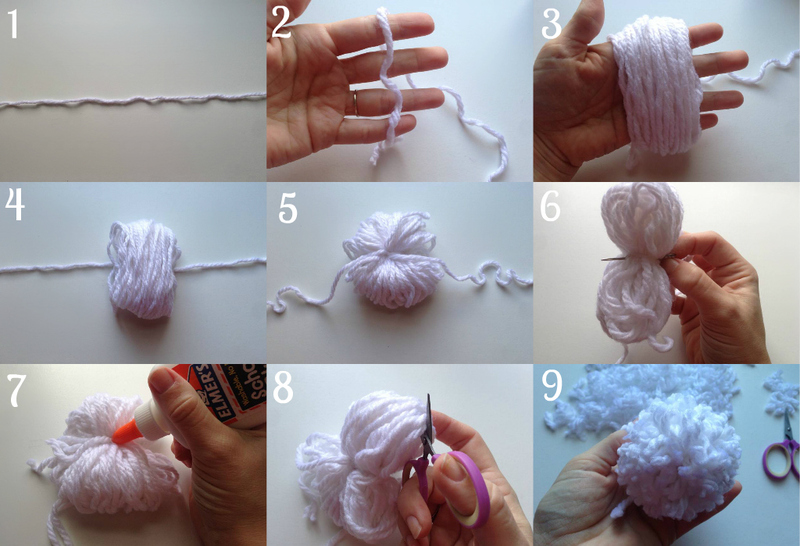 (2) Using your hand with your fingers slightly spaced, (3) wrap yarn around your hand 50-70 times. (4) Carefully slip the yarn off your hand and place it centered on top of the 18" strand. (5) Tie a knot twice. (6) With your tapestry needle secure the center of the pom-pom by sewing through the center with each end a few times. 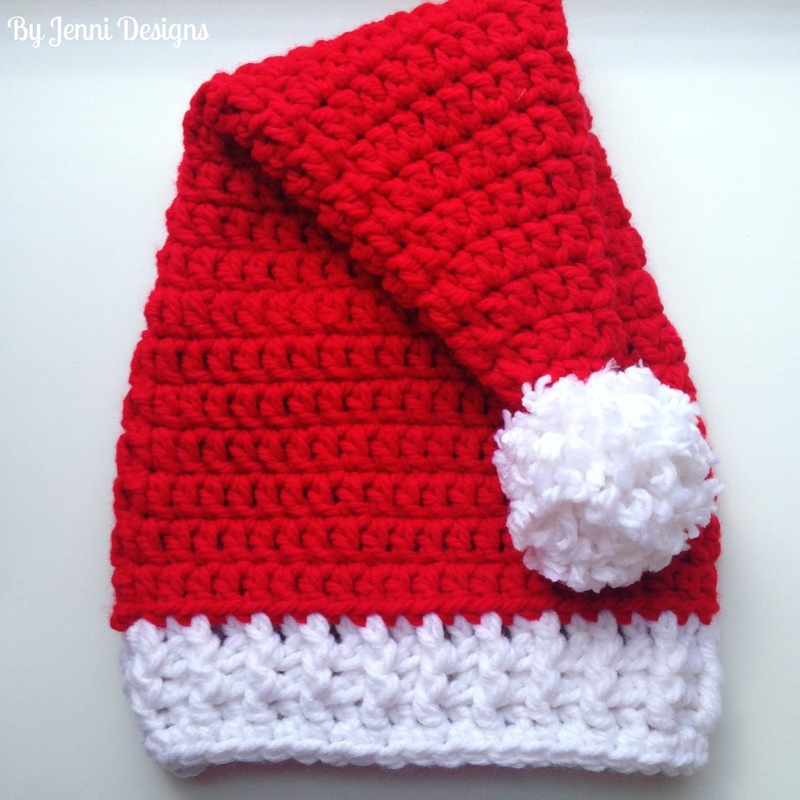 (7) This next part is optional but I like to make sure my pom-poms are very secure so next I run a bead of either fabric or Elmer's glue around the center. Let the glue dry. (8) Cut through each loop. (9) Trim pom-pom to desired size being sure not to trim the original 18" strand. 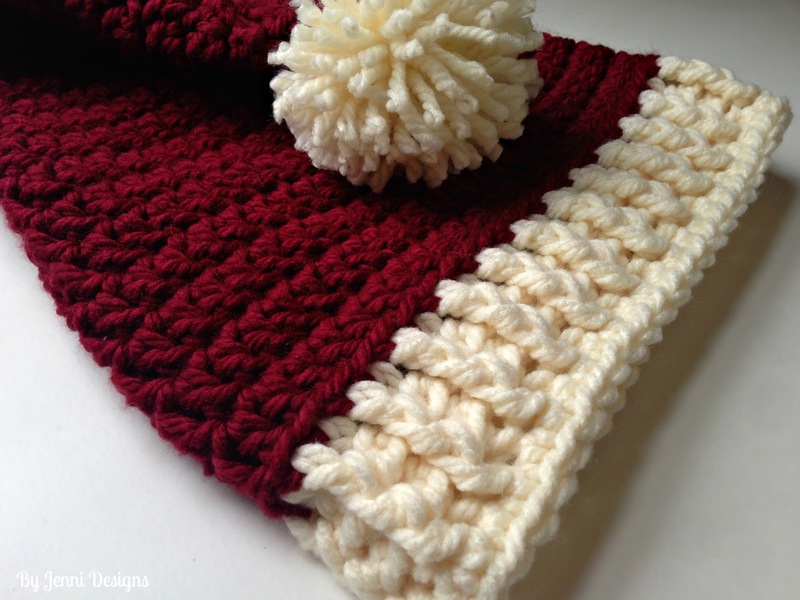 Use this strand to sew the pom-pom to the top of the hat. Can I use a bulky (5) weight yarn to make this? Would I use a smaller hook? Thank you for sharing. This gave me something to help feel more festive on a very lonely Christmas weekend.